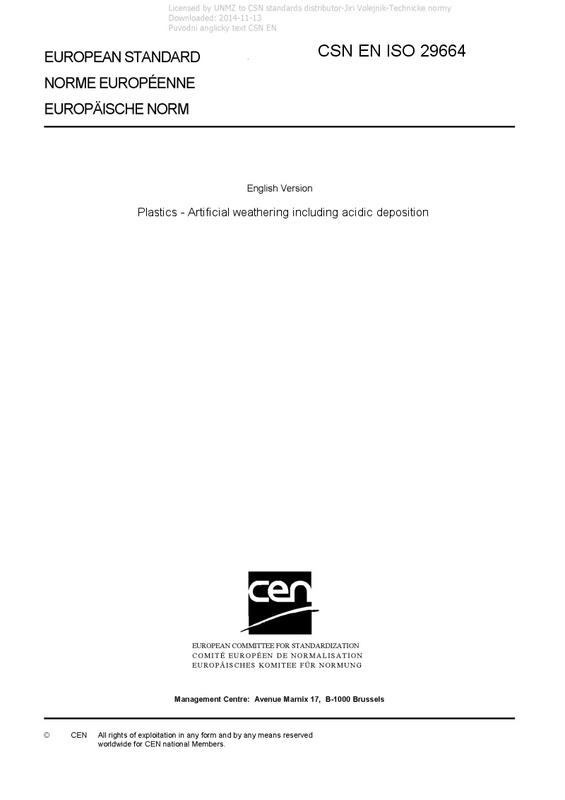 EN ISO 29664 Plastics - Artificial weathering including acidic deposition - ISO 29664:2010 describes artificial weathering tests intended to evaluate plastics for use in heavily polluted outdoor environments. Results from ISO 29664:2010 cannot be used to predict the service life of these plastics. ISO 29664:2010 describes two different exposure methods. Use of the methods depends on the form of the plastic product being evaluated. It does not cover the influence of special chemicals like agrochemicals.